We’re not investors – the advice we give here will support you in raising a round that’s most beneficial for YOU, not to try to prime you for expectations of dilution that investors are looking for. We are entrepreneurs too and we’ve helped raise over $35 million in seed funding collectively. There’s no way to guarantee a successful raise. This guide however, will help you avoid all the rookie mistakes that could stall your round. It will result in a more efficient process with a better outcome. We’re located in Vancouver, Canada. The process and approach are universal though many of the examples below are from a Canadian perspective. Several examples also apply to global companies as our companies have raised from investors all across the globe. If you’re looking for more hands-on support and introductions to investors, we provide more in-depth support through our Funding Roundtable groups. This will be the most comprehensive blog put out by Spring to-date. Written in joint collaboration between Keith Ippel, Sana Kapadia, and Chin Hing Chang. Part 1 – Should I Raise? What Type Of Company Do I Want To Build? What type of company do investors want to invest in? Am I Ready To Scale? Should I Bootstrap or Raise External Funds? Part 2 – How Do I Raise? Part 3 – Who Should I Raise From? Do I need to have a Board of Directors? When thinking about financing your company for growth, there are multiple options that an entrepreneur should consider. Let’s start by reviewing if raising from investors is right for you. What type of companies do investors want to invest in? How much do I need to make it happen? Most companies never raise external funding. Fewer still raise only from external investors. You should start by asking yourself what company you want to build. Do you want to have a global or local company? Can you generate revenues the day you start? Do you want to change the world? Are there sound competitive reasons to accelerate growth? Could you leverage external funding to create strategic growth, and not just keep the lights on? These are all important questions to consider, and it is when you are pointing towards acceleration, global reach, and funding for strategic lift vs survival, the more you may want to look at raising money. Level of adoption needed to push your community over the threshold (marketplace type platforms). Regulatory implementations that might hinder or facilitate adoption. Ability to recruit a stellar team member. If you’re ready to raise (as per above), and there’s a strong motivation, then let’s get started! Do note that raising a seed round typically takes 6-12 months from preparation to close so you’ll want to start the process early. Seasonality exists, with low times being July and August as well as September. Plan ahead so you don’t get caught short on cash flow. There are a variety of reasons for investors to invest (more on this below), but a key factor is ROI (Return on Investment). At the seed stage investors are taking a lot of risk and it’s common for them to see over 80% of their portfolio companies fail before turning a profit. As such, to make it worthwhile, investors are looking for hypergrowth companies – these are companies that have the potential to provide a 10x++ ROI as they scale. The reality, though, is that not all businesses are venture scale and will not provide a 10x ROI. At the same time, not all entrepreneurs feel comfortable with venture-style investors, given that they are focused on their fundamental world-changing missions first and foremost. Fortunately, there are other ways to be creative with your round, depending on the type of business you want to grow and the type of investor you want to attract. If your company has a strong mandate to improve the world for the better, impact investors are an option, as are community-oriented crowdfunding models amongst others. Impact investors still care about financial returns, but they also care about the mission and impact of your business, for example, they might look at your business if you have a slower growth model or have a smaller target market. You will however still need to show them “return” on their investment by updating them on the impact that their money is having on the community/environment, while also providing a financial return. Research & Development (R&D) and Product Development. Aside from the obvious, not every company is fundable. Here are a few things to consider before you start to think about raising or scaling your organization. Investors will less often invest in a solopreneur. That being said, you don’t necessarily need co-founders, but you do need a team. Investors want reassurance that if anything goes sideways, the business will still survive in your absence and their investment will remain valid. Contractors and part-time staff can be considered a team if there is a plan for them to take on a leadership role when you close your round. Need more in-depth guidance on building a team? Do I Have A Minimum Viable Valuable Product (MVP)? There are a lot of good ideas. Few see the light of day. You’ve heard it, execution matters. You’ll need to have a prototype that’s close to commercialization, perhaps launched and have users on your platform (even if it’s all done manually and pieced together with duct tape/Zapier on the back-end), or have some revolutionary intellectual property (IP) that is commercializable. Your MVP should be able usable and deliver actual value to your customers. Mockups don’t cut it because they don’t actually give you a clear sense if your customers need/want your product. Coming up with a solution is one thing, getting it into the hands of customers is another. Being able to prove traction will help with de-risking the opportunity for investors and allow you to secure a better valuation for your rounds. 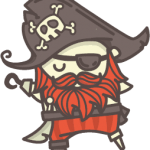 Pirate Metrics is a good example of a set of high-level key performance indicators (KPIs) to help gauge the health of your startup. Coined by Dave McClure at 500 Startups, it’s called Pirate Metrics because it stands for AARRR – Acquisition, Activation, Retention, Revenue, Referral. This applies to not only software startups, but also to service/hardware companies too. Below are more details and a hypothetical measure for one of our companies – Nada. 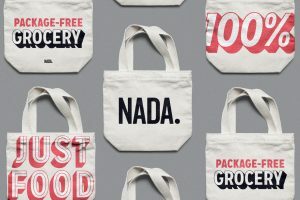 Nada is a certified B-corp, for-profit social venture. They provide package free groceries and are on a mission to eliminate waste in the world. What’s your CAC (Customer Acquisition Cost)? Do you have a proven and repeatable method/channel for acquiring new users/customers. Nada: Number of new customers each month (measured through email capture – free membership program where members get exclusive discounts) OR weekly foot traffic, determined by setting up a foot traffic counter at the entrance of the store. Are your users/customers actually USING your product? It’s one thing to say you’ve had 200,000 downloads, it’s another to say that people are actively using it (# of daily users, # of bookings made, # of customers who take action in your program etc.). Nada: Number of returning customers who utilize the membership card for discounts OR tracking the number of daily transactions. What’s the LTV (Lifetime Value) of your customers? Do they stay around long enough for you to recoup your CAC? Nada: Period between first purchase vs. inactivity (as defined by lack of purchase activity for over 3 months) OR average customer duration in the store. Have you figured out the right revenue model? Is it single purchase? Premium? Subscription? Advertising? Etc. The benchmark here is NPS (Net Promoter Score), it shows that not only do users like and get value out of your product/service, but that your company will grow organically. Nada: Sending out a periodic NPS survey to their shoppers. Prematurely scaling risks failure: be aware of how ready you are before you start to scale/raise. Just because 5,000 people have signed up for your newsletter, doesn’t mean that you’re ready to pour money into it and make it scale quickly. The last thing you’ll want to do is build a leaky ship. You could be amazing with marketing but actually have a terrible product/solution which needs to be revised. Proving traction will also help build confidence with an investor and show them that you’re not going to use their money to just randomly experiment to try to figure-things-out, but have a viable business and are ready to scale. Raise to hit your next sizable milestone. Before you even think about valuation, get started by mapping out your use of proceeds. Create a financial forecast and budget, map out your sales/marketing plan, plan out your next sizable milestone. This sizable milestone should be a significant inflection point that will help you justify an increase in value for your business. Why is this important? The higher your company value, the more you can raise at a lower dilution. If you’re doing this, your next sizable milestone should also take into account the 12-24 months runway statement. As much as you like to think you’re building a rocket ship, it often takes longer and costs more than you anticipate, hence the “and then some”. 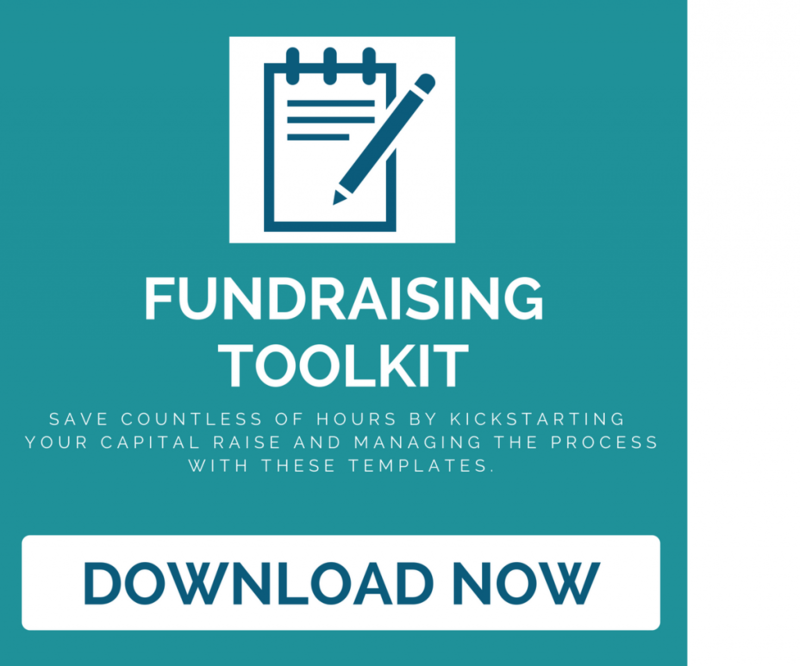 This will ensure that you don’t have to go back into fundraising mode too early, or at all depending on your goals. Investors know that fundraising is distracting for the business and they want you to raise enough to be in a healthy position and focus on growth. If you’re raising far less than the average in your geography, investors will doubt that you know what you’re doing. They also may think that you’re using their money for operations, to pay yourself (nothing wrong with this, you can include it in the cashflow forecast, but you shouldn’t say that you’re raising to pay yourself a salary), or to develop a product. Investors want to know that you’re going to use their money to scale, and they know there needs to be a significant sales/marketing budget to do so. Don’t buy into the hype of raising capital. Raising money is distracting, you should always focus on your customers and generating revenue. If you are able to generate an equal or greater amount of revenue with the time and effort spent raising capital, you might not need to raise a round. That being said, there are clear benefits for raising. There’s nothing that will push you harder and faster than being held accountable by actual stakeholders in your company. Investors can add a lot more value than just monetary, getting an investor to contribute also secures them as a strong advisor/advocate for your company. If you’re in a competitive market or if you’re riding a trend, deciding to bootstrap will put you at a huge disadvantage compared to other well funded companies who are better equipped to capture a larger segment of the market. The decision to bootstrap or seek external funding will ultimately boil down to a personal preference for the type of company you with to create and your vision for growth. I’ve seen founders bootstrap successful, profitable companies, without giving away ownership; while on the other hand, there are also founders who’ve scaled successfully through raising capital, and have been able to create a larger impact and capture a bigger market with additional capital. The one thing I can say for sure – once you accept external capital, the heat is on to start performing and satisfy the expectations of your additional shareholders. Before we get into raising from investors, let’s make sure we cover our bases on all the different financing options available. They all come with pros and cons; your duty as an entrepreneur is to remove all personal biases and consider what’s best for your business given the conditions. If you can get money without giving away equity, why not! Especially if you have a proven revenue stream and have relative confidence that you can turn $1 into $2+. Investors also like to see that you’re being resourceful and have considered all options and have some skin-in-the-game. Look into entrepreneur friendly loans/micro-financing options at your local bank. The key to being effective with financing is to separate business from personal, for example, I wouldn’t recommend taking out a personal line of credit to finance your business. Futurpreneur (If you’re under 39). Women’s Enterprise Centre (if 50%+ ownership of your company is female). BDC (Business Development Bank of Canada). Revenue backed financing – Timia Capital. Concierge is a single access point to funding, expertise, and facilities. It offers free, one-on-one assistance from expert advisors who provide customized guidance in selecting the most relevant programs and services to help you grow your business. IRAP – Industrial Research Assistance Program. Leveraging hiring/job training grants – reach out to NRC Concierge to learn about what you qualify for. BCIP – Build in Canada Innovation program. Too busy to apply for a grant? Check out Granted. In Canada, SR&ED (Scientific Research and Experimental Development) financing – provides financing based on tax credits from the Canadian SR&ED program. The application and reporting process can be somewhat challenging especially if you lack a dedicated project manager. There are companies like R&D Partners who help with filing SR&ED. Start by looking at local universities, local government support organizations, or large corporations that have innovation departments. ShEO (female founders, with global opportunities). Pitch for the Purse (Women only). Starting to feel overwhelmed with the different options? Look for information aggregation sites. For example, in Canada, Vancity supported the development of a great resource tool called Impact Money Finder, it’ll help you narrow down all the different options available based on your company. Another resource is this tool by Innovation Canada. Fundica also has an amazingly comprehensive and well maintained tool for searching grants, tax credits,loans, and equity financing options. Can you imagine? This source of funding DID NOT EXIST 10 years ago. To date, over $34 billion has been raised through this fundraising type which allows companies to raise from non-accredited investors. Reward based crowdfunding (Kickstarter, Indiegogo). Community based fundraising – Wayblaze. Many entrepreneurs underestimate the amount of effort that goes into building a successful campaign. This method is typically more suitable for B2C type companies with a large community/user base and requires extensive up front preparation, a budget available to sustain the campaign, and strong follow through. Took me a while to get to this eh, just wanted to make sure you get all the information you need to make the best decision on funding options before we dive into raising from investors. Venture financing takes place in “rounds” – Seed, Series A, Series B…IPO. With Bridge rounds happening in between. How these rounds are determined is defined by the amount being raised and who you’re raising it from. In a seed round, you’re typically raising from individual angel investors, not institutional/VC (Venture Capital) firms. In Canada, seed is typically $250k-$1.5mil. In the US, seed is typically $1mil-$10mil. Direct ownership in a company, common shares are the simplest and most easily understood form of ownership. This requires setting a valuation. To drill deeper, if this is what you’re going for, make sure you get educated with your lawyer on equity incentive plans (option pools), liquidation preferences, anti-dilution rights, protective provisions, etc. The paperwork here is called a convertible note – it is effectively debt with an interest rate (usually a minimum of 2%) and maturity date. Notes do not sit on the books as equity and allows for you to have the valuation conversation at a later date. It includes an option for holders to convert their holding shares into a fixed number of common shares at a later date (usually triggered by a subsequent financing transaction). You’ll also commonly hear the terms Cap/Target Valuation/Discount. Cap is the maximum valuation regardless of valuation of the future round in which it converts. This allows for investors that come in early to pay a lower price compared to investors who join in the future round. Specific terms are negotiable. If no future round is raised, earned interest has to be paid out at maturity (but maturity dates are often extended). Originally released by Y-Combinator, a SAFE also allows for the valuation discussion to be deferred. Philosophically similar to Convertible Debt in the deferring of valuation. Where they differ is that they sit as a special class of equity on your balance sheet, and will convert with the completion of a future preferred share round or exit. You will sometimes see discounts, caps, and time limits in a SAFE. Read more about it on YC’s website. A special class of shares that entitles the holder to certain rights and payments which take priority over common shares. Usually used by growth stage investors or VC’s and includes many rights and privileges – liquidation, redemption etc. Read more on Liquidation Preferences and how it will affect your payout during an exit event here. Even if you’re not raising through common shares, this is still a commonly asked question that you’ll need to address with investors. While in the accounting sense, there are a number of generally accepted ways to value a business; with early stages business with limited to no revenue, valuation tends to be based on two inputs. Speak to lawyers/accountants that are dealing with a high volume of transactions in your industry or stage – they have insider knowledge on the size of rounds and valuations that are being closed in your region and can give you an estimate of where your company might be at. Speaking to other founders in your space. Speaking to investors about their portfolio. Reviewing reports from your local angel groups. As with all economics, price is driven by supply vs. demand. If you’re able to gain a large amount of interest, naturally your valuation will increase in parallel. Start an investor update newsletter to highlight progress on your round, it helps with driving urgency and creates a sense of FOMO (fear of missing out). As there is no such thing as perfect valuation, your goal is to find one that you’re comfortable with, that investors find reasonable, and will allow you to raise the capital you need to hit your milestones. The typical range of seed valuation is $1.5-$10 million. Down rounds occur when a future fund raising is completed that values the company at less than the value the company was set at in the previous funding round. This hurts everyone as all shareholders are diluted, or lose a larger percentage of the business. As you value the company in this round, you want to maximize your company valuation while balancing it with your projections and expectations of growth, and what investors expect at each round. This will help you avoid a possible downround in normal business circumstances. I’ll keep this brief, dilution is typically 10-20% for seed rounds. Anything more than 25% is uncommon. As such, this is also taken into consideration – how much you are raising and the resulting dilution – to help determine the valuation. Friends and family are usually the QUICKEST way to raise a small amount of operational capital (most F&F rounds are <$100k), and often there is more there than you think. If you can’t even convince your F&F to contribute to your cause, some investors might doubt your ability/credibility and hesitate to invest. Relative recent to North America, equity crowdfunding has been available for many years in other countries. This model allows companies to raise money by selling equity to non-accredited investors, and also combine unaccredited with accredited in the same round. FrontFundr is an example of a Canadian equity crowdfunding platform. Their structured framework and process is a value added service that helps companies understand how to best launch a successful equity crowdfunding campaign. Note that many angel investors and venture capital firms have strong opinions about equity crowdfunding. We believe that crowdfunded equity is part of the future of funding businesses, but be aware of current trends and opinions on the subject. Usually invest in early-stage companies, often in the first and/or second round of funding. They’re investing their own money and will have opinions on the right terms. Due diligence process is variable from angel to angel. Decisions can be more driven by instinct based on how much they like you, your business, or your team. Average investments range from $25,000 to $100,000 (more than 90% of what we see), though it can range wildly from investor to investor. Are a collective of Angel investors who have banded together to collectively vet and review deals. There might or might not be a dedicated fund manager that oversees or makes decisions on which companies to invest in. Typically they are more involved in Seed Bridge/Series A rounds, though they can definitely participate in Seed as well. When engaging with an angel group, get to know their decision process. Many act as loose collections where each member will decide on their own, and some have a more structured and unified process. These are the big guns; they’re investing other people’s money and, as such, they have a professional structure with a rigorous process. VCs are consistently metrics driven and go after “venture scale” investments or investments with a larger promise of return. You’ll usually need to have a potential for 10x++ return for VCs to show interest. Uncommon in Seed, VCs typically come into their own in Series A and future rounds. Check out Crunchbase’s post on How To Find The Right Investors To Fund Your Startup. How much, by when, ideal investors. Don’t get a painter to fix your car. Base, best, and worst case scenarios. Start with the financing docs, then the term sheet. Get it reviewed by at least 3-4 people. Step 10: Start to reach out! Warm intros & do your homework on them. You wouldn’t spend all your time trying to sell your product to just anyone, so why do that when you selling ownership in your business??!! A network that can add value to you and your business is really broken down into three groups. 1st: If you are raising money, do they have a network of fellow investors that can help you raise this, and/or future investment rounds? 2nd: They have a network of potential customers or partners in your market. 3rd: They have a network of talent that can be called on to help answer tough questions or to grow the team as you start to scale. Investors who have been in your industry, know how it works, who the players are, and the market. These are the folks who can help you avoid rookie mistakes, and open doors to newer, bigger opportunities. This is worth its weight in gold: rank such investors accordingly. Whether you are retail, software as a service, or anything in-between, a business model expert investor can help you learn quickly from where others have gone before, show you how to optimize the business model quickly and connect you with folks in the know. This can be especially helpful for learning from early customer feedback and making changes to your business model post-launch to finding product-market fit. Does this investor have functional expertise that he or she could use to help out the company temporarily? These could be things like project management, negotiation, or I.T. Getting the investor to take on a temporary role in the business could help you cut costs. Also, you can be certain that they’ll put in their best work since they’re invested — literally — in the business. In this case, look for investors who may be willing to be more active as an advisor or even in the day-to-day if you want and/or need it. Is this investor in the same country or region as you or your customers? Getting in-person, hands-on help from investors could help speed up progress. If your investor lives in the same place as your target customers, he or she could provide invaluable intel that you may otherwise have no access to. Does this investor have an agenda that’s aligned with yours? Do they share the same values as you? Are they trying to make money or are they more interested in helping your business fulfill its mission? How fast are they expecting the return? These are all important factors to consider. How does this investor work with companies? Does he or she like to take on a more “lean in”, “heavy on the business” approach? Or do they like to be more of a “shadow”? Does their style align with the way you like to work? Ensuring that your investor’s preferred “style” of working is aligned with yours allows you to avoid friction in the relationship. These are the 7 traits of a “Unicorn” investor. By evaluating potential investors with this criteria, you get to quickly identify your top candidates. Of course unicorns don’t exist, but if they meet 4-5 of these traits, they’re solid. Based on a research by DocSend and Harvard Business School – On average, companies contact over 60 investors and have over 40 meetings for average round sizes of $1.3 million. So don’t just spray and pray, if you treat raising capital like a sales process, you’ll be able to go after more specific investors that are more likely to close and add value to your company. Things to be aware of – do your homework! You have just as much a right and duty to perform due diligence on your investors, as they do with your business. You wouldn’t marry any random person, neither should you sell your company to anyone who will pay for it. Below are some things to consider. A good investor will focus on understanding your customers, your strategy, your competitors, and your team. Investors who focus on secondary deal terms, grinding on terms, and items that show a lack of experience are areas of caution. Doing so puts them (sometimes unintentionally) in control of the round. You might find their accountants/lawyers slow to respond to you because they answer to the investor, not you. Worst case scenario, the investor might deliberately delay things so that your runway gets tighter and you’re forced to offer a better deal to keep the business running. Sounds obvious enough, but you’d be surprised at how infrequently entrepreneurs do background checks on their investors. Ask the investor for contacts of some companies they’ve invested in – so that you can do reference checks. Good investors respect and appreciate this ask, and if they say No that probably tells you all you need to know. You might occasionally hear an investor ask for additional % to be an “active investor”. Proceed with caution. If they’ve invested in the company, they should already be motivated to be active without any additional incentive. If they’re proposing real value, have that % vest over time or based on milestones if the commitment is significantly tangible. This should be set up as a separate agreement to respect your core round, and then on this additional work. They may have never invested before and are unfamiliar with dilution norms or how a bad round can negatively impact future rounds. Or they’re looking for suckers. It’s important to understand what’s going on in their head so that you can best position yourself to win them over. Do I like you and your team? How are you different (from the competition)? How are you going to make me money? When am I going to get my money back? What is the impact of your business? An active investor has probably heard at least 5 other pitches that sound exactly like yours. “I have a timeline that I like to work with, and are you going to return my investment in that time-frame? Impact is a broad term, some investors will focus on the potential for your business to disrupt the industry. Others care about the environmental, community, health, or mental wellbeing influence that your business has through your product/service or the code of conduct which you hold yourself to. Know the state of your business (know your metrics). Pitch deck ready and tested (ideally practice 12 times). 90s, 3min, 10min pitches ready. Financials – drafted, built and understood (ideally 3 versions). Progress (you define and can be very different than revenue). Asking your mentors/advisors for recommendations. Asking your current angel investors for referrals. Former CEOs who have exited (they might have disposable assets to invest with). CEOs of comparable companies that you trust. Filtering individuals on Gust, CrunchBase, Angel List, start here. Search angel/investor and filter based on your industry/subject matter expert etc. View their LinkedIn connections for people you know who can bridge the introduction. Review their social presence to align with social context and ways to establish a relationship. CEOs of the companies they have prior/active investments in. There’re plenty of resources on this topic, below are some lesser known tips that will help you stand out. Secret #1: Don’t follow a template! There are guides and templates on what needs to be included in a pitch deck. Don’t just copy-paste, be different if you really want to stand out! How should you do it then? True…but! You’re not trying to get married on a first date. Your goal with a pitch is to whet their appetite and gauge their interest. You should deliberately omit some information to see if they are asking questions and trying to know more. You’ll know you’ve done a great pitch if there are a ton of questions after; it shows that they’re excited! This will also help you identify the investors that are interested vs. the ones who aren’t. Of course, DON’T leave out the KEY points. WHO is this for? Be specific, if it’s for everyone, no one is interested. What is their PROBLEM? Not a global problem, but the specific problem of the user. E.g. Companies struggle with understanding their communication strategy and productivity vs. HR Managers need to monitor communication efficiency between departments to understand where to allocate resources. The latter is more clear. What is your SOLUTION? What are you building? What is your product/service? Problem = takes long time to match users, Solution = faster matching. Solution = we allow users to match more quickly by providing a visual interface to identify their matches. Speak to HOW it’s done but you don’t need to get too detailed or spill your secret sauce. VALIDATION. An investor will be thinking “Are you taking my money to experiment with? Or have you already validated what works and have a clear path to growth which will return my investment in multiples”. Ever notice all pitches have great market size/opportunity? Don’t spend too much time on top-down projections of Total Addressable Market (TAM) or Service Addressable Market (SAM). Instead highlight TRACTION, use bottoms up predictions to highlight growth trajectory, your ideal investors SHOULD be familiar with the market opportunity, if they aren’t, you might not want to take their money. How are you going to make MONEY. You can’t change the world if you go bankrupt first. Show investors when and how you’ll make money, and have plans B and C ready in case plan A doesn’t work. Why YOU. Team, experience, difference from competition/secret sauce (you might want to address this earlier in the pitch if you’re in a crowded space). ASK. Always have an ask. – If you’re raising – how much? Leave out valuation and term details (these are things that are meant for a discussion and negotiation). Also don’t forget to list your contact info on the last slide. I generalize here, but this speaks to the point of defining your target investor. You might end up going to a pitch event if you know that that’s where your investor is most receptive to ideas, but don’t go for pitch events with the goal of raising from all the investors in the room. It’s too much of a mixed bag, and there are much more efficient ways to spend your time. Caveat: I’m not talking about pitch practice events, which I strongly advocate for, even if entrepreneurs aren’t raising their round. Pitch practice events help with publicity, allow you to better define your value proposition, and help you with understanding how to position yourself with investors when you’re ready. Do note, there is a difference between a pitch deck and a presentation deck. Your pitch deck is light and designed to support you as you articulate your business. The presentation deck is the take-away deck which you send to investors. It should be clear enough that if an investor forwards it to someone else, that other person will understand everything they need to know. Your presentation deck can be longer and more comprehensive than your pitch deck. Below are the top 7 slides to include in a 90 second pitch. You’ll want to wrap it up in a story. Show your timeline & milestones. Pricing – show basic math on conversion or LTV. If you’re in a new space, or if there’s lots of competition, or if people are used to the old way of doing things. Start to accumulate FAQs you hear when you pitch. You can refer to them in a Q&A slide to show investors that you’re a step ahead of them and have already considered those concerns. What is due diligence? That’s when investors do their homework and dive deeper to learn more about your company, technology, team, financials etc. before committing to investing. While angel investors will follow very different paths and levels of due diligence, the process generally follows this flow. Why do investors do due diligence? To get to know the founder(s), team, space, company. To establish how well you can work together. To arrive at a consensus on valuation. To gauge the impact you’ll have. A best practice is to build a due diligence folder with all the necessary documents so that investors can easily find what they need and see that you’re serious about raising. Remember, investors are usually more experienced at it than you are. You should try avoiding negotiating in-person; take requests away and get support from your legal counsel or advisors. Some terms may sound far fetched, but the majority of things that credible angels/VCs ask for are reasonable and can be discussed and debated to come to a deal that is fair for all. Everything is negotiable – the amount they’ll invest, number of investors involved, paperwork etc. can all change along the way even if the paperwork has been signed and cheques have been cashed! We’ve seen companies tear up paperwork with existing investors and renegotiate at the 11th hour because a new superstar investor decides to come on-board and prefers different terms. Of course, before you do that, communicate clearly and explain the benefits of the new terms and what this new investor brings to the table. Why is it hard to get people to write cheques? Most Investors are in no hurry. You need to build a relationship before getting to the financial transaction. Investors are often looking for validation from others before committing. What is the fastest way to get Cheques? Traction/progress has the biggest impact on speed of due diligence and round success. First, decide how you are going to frame traction. Second, define your key metrics. Third, how are they evolving? Sales, users, product development, marketing, PR, team. You’ve probably heard of this term. Some rounds have them, but most don’t (80+%). Why? The main reason is that the vast majority of investors don’t see themselves as lead investors. Due to human nature, most people won’t perceive themselves as the most ideal investor. Generally you never ask someone to be a lead investor. It can spark doubt and they start to wonder if you’re really approaching the right investors. They may offer, which is fine. What if no one steps up to be the lead investor? Articulate multiple names that are interested. This gives them the sense that there is a “group” that will walk over the line together. Your investors knowing who else is in on the round will also drive some urgency as it generates a fear of missing out (FOMO). $ of the round committed. Once you get 100% of the round verbally committed and 50% of cheques in, you can start to indicate your window to close. 30 Days is reasonable for Canadian investors. 15 Days is more appropriate for US investors. If working with VCs ad they have a closing schedule, you need to get them to commit to it. Now they know it’s really happening, and they know room in the round is getting scarce. Your goal is to prove that demand is there. It is your round, you drive the bus. Use your own lawyers, accountants etc. It needs to emanate and be driven from you. People will fall off the table, lose interest, change their minds, go on vacation etc. If you have more than enough people, you are more likely to close successfully when it comes the time. Aim for at least 150% of your round in verbal commits to ensure you get it done. Have all your paperwork ready. 48 hr turnaround on paperwork requests. Keep your lawyer informed so you don’t catch them off guard. Be ready and open to negotiate. Know the priority list of investors. Know what’s non-negotiable for you. Keep adding new conversations right until the end. My investor wants me to have a board before investing. Is this necessary? There are 2 types of boards – Fiduciary Boards and Advisory Boards. Fiduciary Boards are formal, this is what an actual Board of Directors represents. They can be held liable for risks that your company incurs and exist to ensure that the company is managing risk correctly and keeping all shareholders interest at heart. Advisory Boards are informal, they are not legally liable for any business related risks. Advisors are typically compensated in some form – equity (typically 0.5-2%), cash, benefits etc. Investors often care more about Advisory Boards, less so about Fiduciary Boards. They just want to make sure you’re being supported and not trying to do everything on your own. If an individual investor is willing to provide what I need for the entire round, should I just go with that? If the investor is aware that he’s the only investor, it can result in a longer closing process, and if it falls through, you have no Plan B. Remember, it’s in human nature that no-one wants to take the first leap. The investor may muscle you on terms. Even if the investor has the best intentions, it might result in a distracting relationship as you strive to meet his/her demands. e.g. you might find that everytime this investor calls, or has an opinion on something, you’re inclined to bend to his/her will as he/she is your only investor and you lack diversity in the room to balance opinions. 1 investor can only provide so much support – expertise/network. The more people you surround your business with, the more resources available at your disposal. Most seed rounds typically involve 6-12 investors. Take things personally if they reject you. You’ll want to part on good terms, the investing community is small and the last thing you’ll want to do is build a bad reputation there. Be arrogant, dishonest, or overly aggressive. Smudge details or make up answers. It’s ok to admit you don’t know, but ensure you circle back with an answer within 72 hours. Be slow to respond or follow-up; avoid more than 48 hours. Take notes during meetings and demonstrate coachability. Lead the round, it’s just like sales, you have to lead the customer. Thank you very much for the note.I tried to read and it was a helpful text. Enjoyed going through the Guide. Succinct, yet comprehensive. This is a fantastic guide. It’s just what I needed and will go a long way to helping me complete my investment round plan!